Superstar mare Apple's Jade for trainer Gordon Elliott was very disappointing at Cheltenham in the Champion Hurdle and is looking to put it right at the Punchestown festival. The Gigginstown owned seven year old was unbeaten on all her four starts before her poor Cheltenham run, where she went off 7/4 favourite and finished sixth out of 10 not running her race at all. Before that she started her season off in November in the Grade 2 Lismullen Hurdle at Navan where she was superbly dominant beating a weak field with ease. 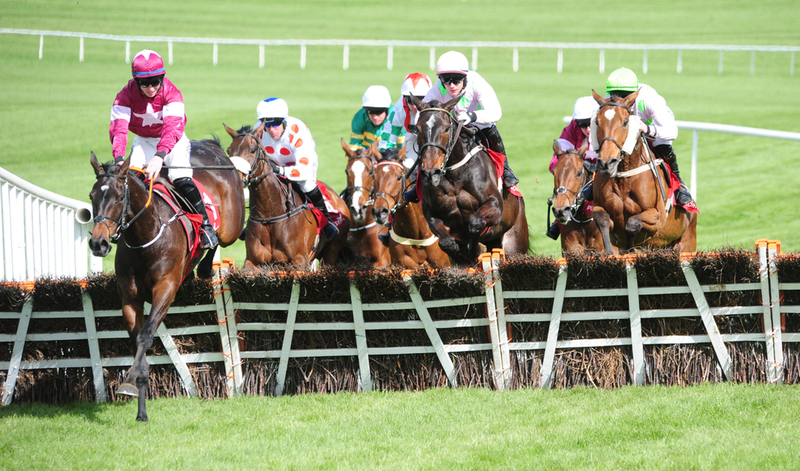 Apple's Jade then went for her first Grade 1 of the season at Fairyhouse in the Hatton's Grace Hurdle and she was superb that day over 2 miles 4f beating her closest rival the Jessica Harrington trained Supasundae by 16 lengths. She then stepped up for her second Grade 1 contest of the year at Leopardstown in the Christmas Hurdle beating a another decent field, again by a huge margin. It was a repeat of very much the same in the new year back at Leopardstown in the Irish Champion Hurdle, where Faugheen fell at the second last to give her a very easy victory winning by over 20 lengths to her next opponent. All these strong runs in Ireland set her up perfectly for Cheltenham, but at a track that we all know from now that she does not get on with, she was average at best. Elliott did reveal that when returning after the race she scoped dirty which does explain a lot about her run but now the trainers plan is to get her fit and ready for a big clash at Punchestown, where she has plenty of options of what race to go in. (Credit At The Races) The trainer said: “She scoped dirty after the race. We thought she was in great form going over – but to me, she was beaten after two hurdles. Some of Elliott's other horses did not live up to the expectations that they came over to the festival from Ireland with one of the main culprits being Battleoverdoyen in the Grade 1 Ballymore Novices Hurdle.